These "Love of Jesus Bible Verses" are centered around: loving Jesus; that He is God who came in the flesh; His ministry; obeying Him; and that He died, was buried and was resurrected leaving us the gospel. Jesus answered him, “The first of all the commandments is: ‘Hear, O Israel, the Lord our God, the Lord is one. And you shall love the Lord your God with all your heart, with all your soul, with all your mind, and with all your strength.’ This is the first commandment. And the second, like it, is this: ‘You shall love your neighbor as yourself.’ There is no other commandment greater than these” (Mark 12:29-31 NKJV). 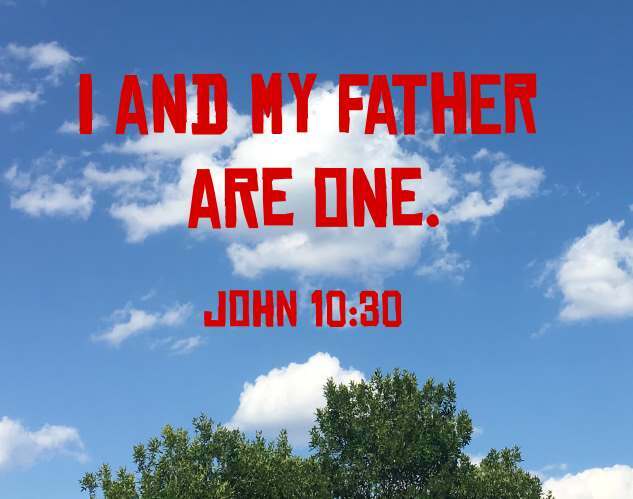 Just believe that I am in the Father and the Father is in me. Or at least believe because of the work you have seen me do (John 14:11 NLT). When I am raised to life again, you will know that I am in my Father, and you are in me, and I am in you (John 14:20 NLT). Let not your hearts be troubled. Believe in God; believe also in me (John 14:1). Jesus said unto them, If God were your Father, ye would love me: for I proceeded forth and came from God; neither came I of myself, but he sent me (John 8:42 KJV). Therefore I said to you that you will die in your sins; for if you do not believe that I am He, you will die in your sins" (John 8:24). Jesus said to him, “I am the way, and the truth, and the life. No one comes to the Father except through me (John 14:6 ESV). 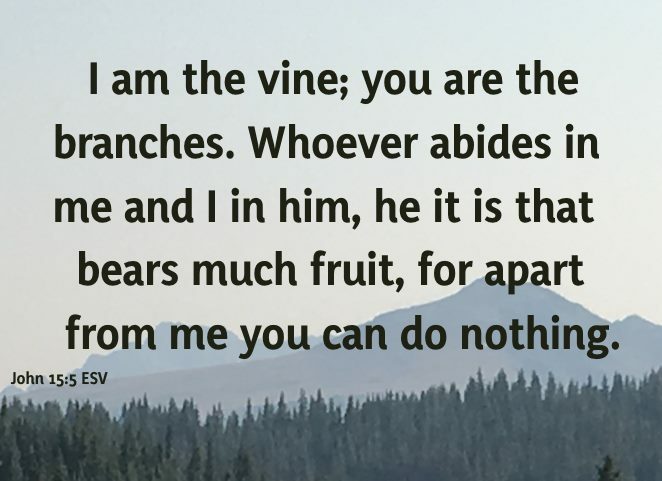 I am the vine; you are the branches. Whoever abides in me and I in him, he it is that bears much fruit, for apart from me you can do nothing (John 15:5 ESV). You heard me say to you, ‘I am going away, and I will come to you.’ If you loved me, you would have rejoiced, because I am going to the Father, for the Father is greater than I (John 14:28 ESV). O Jerusalem, Jerusalem, the city that kills the prophets and stones those who are sent to it! How often would I have gathered your children together as a hen gathers her brood under her wings, and you were not willing (Luke 13:34 ESV). If you then, who are evil, know how to give good gifts to your children, how much more will your Father who is in heaven give good things to those who ask him (Matthew 7:11 ESV)? The thief comes only to steal and kill and destroy. I came that they may have life and have it abundantly (John 10:10 ESV). You have heard that it was said, ‘You shall love your neighbor and hate your enemy.’ But I say to you, Love your enemies and pray for those who persecute you, so that you may be sons of your Father who is in heaven. For he makes his sun rise on the evil and on the good, and sends rain on the just and on the unjust (Matthew 5:43-45 ESV). Whoever has my commandments and keeps them, he it is who loves me. And he who loves me will be loved by my Father, and I will love him and manifest myself to him (John 14:21 ESV). As the Father has loved me, so have I loved you. Abide in my love. If you keep my commandments, you will abide in my love, just as I have kept my Father's commandments and abide in his love. These things I have spoken to you, that my joy may be in you, and that your joy may be full. “This is my commandment, that you love one another as I have loved you. Greater love has no one than this, that someone lay down his life for his friends (John 15:9-13 ESV). Jesus answered him, “Truly, truly, I say to you, unless one is born again he cannot see the kingdom of God.” Nicodemus said to him, “How can a man be born when he is old? Can he enter a second time into his mother's womb and be born?” Jesus answered, “Truly, truly, I say to you, unless one is born of water and the Spirit, he cannot enter the kingdom of God (John 3:3-5 ESV). For God so loved the world, that he gave his only begotten Son, that whosoever believeth in him should not perish, but have everlasting life (John 3:16 ESV). And when Joseph had taken the body, he wrapped it in a clean linen cloth, And laid it in his own new tomb, which he had hewn out in the rock: and he rolled a great stone to the door of the sepulchre, and departed (Matthew 27:59-60). And he said unto them, Why are ye troubled? and why do thoughts arise in your hearts? Behold my hands and my feet, that it is I myself: handle me, and see; for a spirit hath not flesh and bones, as ye see me have (Luke 24:38-39). And saying, The time is fulfilled, and the kingdom of God is at hand: repent ye, and believe the gospel (Mark 1:15). Whoever believes and is baptized will be saved, but whoever does not believe will be condemned (Mark 16:16 ESV). 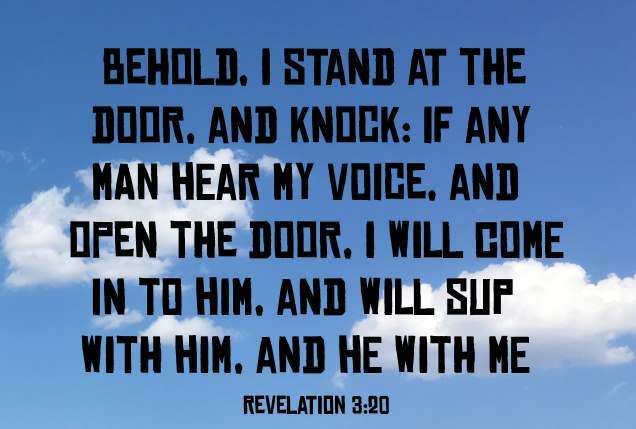 In the last day, that great day of the feast, Jesus stood and cried, saying, If any man thirst, let him come unto me, and drink. He that believeth on me, as the scripture hath said, out of his belly shall flow rivers of living water. (But this spake he of the Spirit, which they that believe on him should receive: for the Holy Ghost was not yet given; because that Jesus was not yet glorified.) 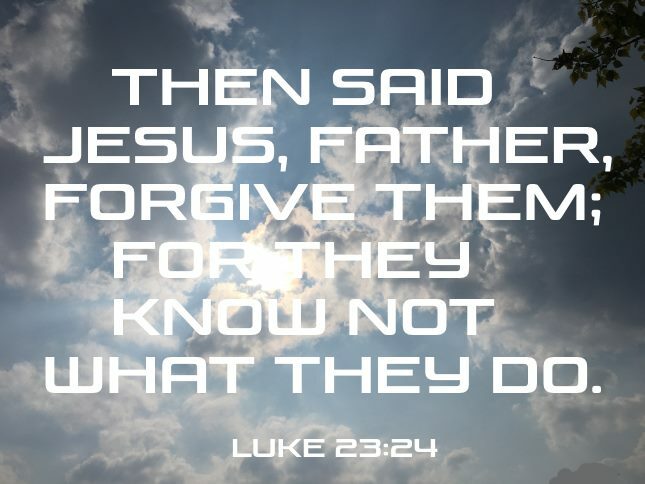 (John 7:37-39). But you will receive power when the Holy Spirit comes upon you. And you will be my witnesses, telling people about me everywhere—in Jerusalem, throughout Judea, in Samaria, and to the ends of the earth (Acts 1:8).